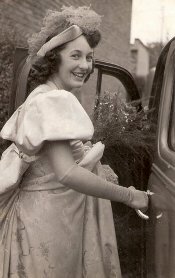 We would love to hear from you If you have old photos or stories to add to the history page. By 1800 the area north of the Orange River was already known to farmers, travelers, and runaway slaves who had gone there to live. Some of these early travelers would return to the Cape Colony with stories about the areas they had found. In 1834 the emigrant Boers began their first plans to leave the Cape Colony. 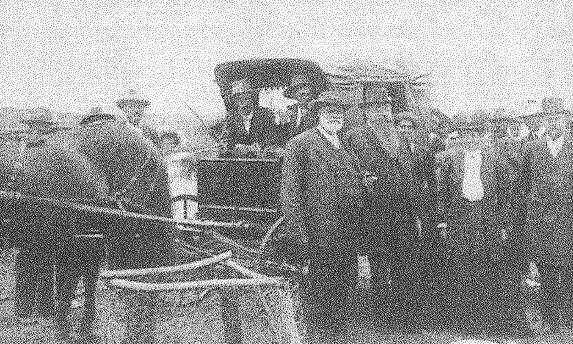 The first Voortrekkers traveled through what we today call the Orange Free State and headed across the Vaal River. Another group of Voortrekkers set off for the northern Free State. In 1837 Piet Retief and Gert Maritz trekked eastwards. Retief's route passed near to the present-day main road linking Bethlehem (then known as Liebenbergsvlei), Kestell and the district that is now known as Harrismith followig the Sandspruit. On the Farm Blydskap near a spring there is a rock with the letters P.R., V.K., 1837 believed to be presumed carved out by Piet Retief and standing for his name, Vooretrekker-kommandant, 18237. When British reinforcements arrived many of the Boers decided to trek back across the Drakensberg to the Transvaal (Gauteng). In 1848 the Orange Free State was annexed by Governor Sir Harry Smith as the Orange River Sovereignty. 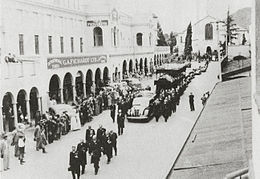 Bloemfontein, Smithfield and Winburg constituted the Sovereignty. The Boers revolted, and led by Gen W J Pretorius, a short battle ensued against the troops of Sir Harry at Boomplaats. The Boers were defeated and Sir Harry felt that his proclamation was now valid. Another district between the Sand and Vaal rivers was also proclaimed. Sir Harry sent PM Bester to establish a town close to the passes of Natal. Sir Harry wanted to name the town Vrededorp but Bester decided on Harrismith. About 1500 British settlers came to the town and for the next 60 odd years it was mainly an English speaking town, while the rural areas surrounding it were predominantly Dutch speaking. The rural areas were good for farming as the climate was not too hot in the summer, had good rainfall and the winters were crisp and cold. The entire area thrived particularly as it was on the main route from Natal and the diamond fields in Kimberley. By 1898 it was apparent that a war between Great Britain and the Transvaal was inevitable and the Orange Free State was caught in the middle. The Orange Free State decided to assist the Transvaal and in 1899 all Boers aged 16 to 60 were called up under the leadership of Commandant CJ de Villiers. According to the law of the time all British residents automatically became citizens after three years' residence in the Free State, and were therefore eligible to be called up for military service! Many were opposed to fighting against Britain and chose to leave the country, but significant numbers joined the Boer forces. Intense clashes were to follow. 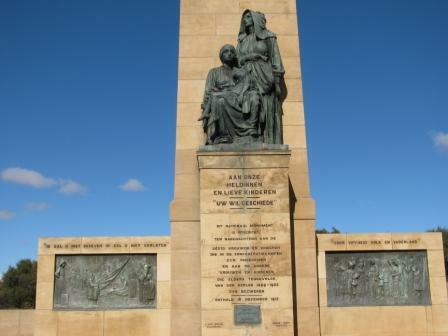 From 1899 to 1901 some of the fiercest battles of the Anglo Boer war took place in the Harrismith area. The Anglo-Boer War officially ended shortly after 23:00 on 31 May 1902 in Pretoria with the signing of the Treaty of Peace by both sides. 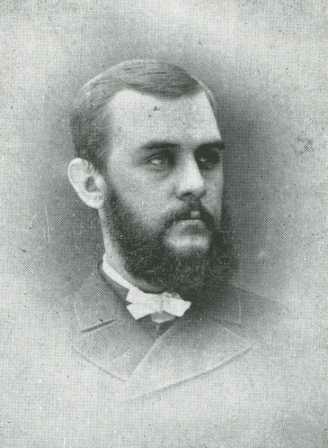 Rev JD Kestell would later write about the signing of the peace treaty: "The Peace Negotiations between the Governments of the South African Republic and the Orange Free State, and the Representatives of the British Government, which terminated in the peace concluded at Vereeniging on the 31st May 1902", by JD Kestell and DE van Velden. It was later translated into Afrikaans by JF le Roux and DJ van Zyl. 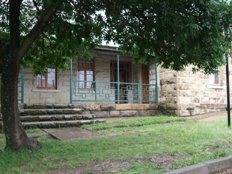 Discussions about proclaiming a town halfway between Bethlehem and Harrismith had started in 1899 at a meeting held on the farm Mooiplaas but had been postponed during the war. After the war local farmers met again on the farm Tweefontein, and again in 1904 on the farm Helena when they decided to push ahead with the plan. At a later meeting on the farm Blydschap a commission was formed to take the matter further. But as is often the case they could not reach agreement as to where exactly the town should be. Three farms were in the running, Driekuil, Mooimeisjesrust and Solferino. Eventually they reached agreement on the farm Driekuil. A committee from Bloemfontein gave authorisation to go ahead but the town planning committee discovered that Driekuil was too small so an offer was made for the adjacent farm Mooifontein, both owned by the Bezuidenhout family. Each brother, Adriaan and Johannes, retained a small portion of the original farms for themselves, today known as Hillside and de Dennen. It was Adriaan Bezuidenhout's wife, Sannie, that suggested the town be named after JD Kestell. 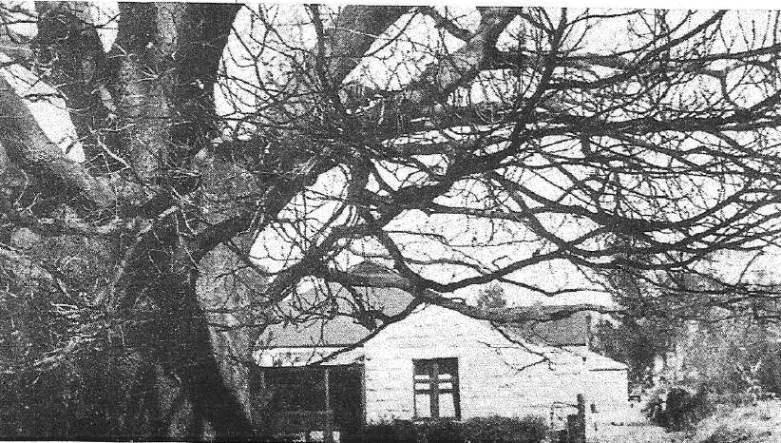 Is this the oldest house in the village? 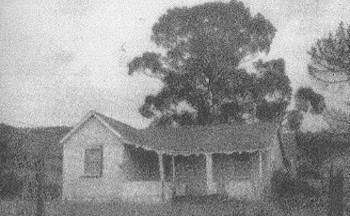 It is believed that this little corrugated iron cottage was purchased in Harrismith, dismantled, transported and rebuilt in Kestell. The town of Kestell is named after the Reverend JD Kestell. 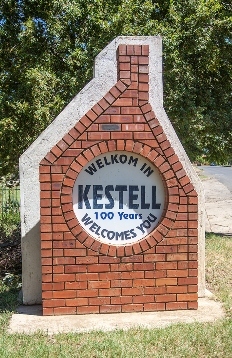 Kestell was a descendant from 1820 settler stock, and was born in Pietermaritzburg. After completing his studies in Stellenbosch he took up several posts until in 1893, he came to the Harrismith district. Dr Kestell was the minister of the N G Congregation at Harrismith. Kestell was then part of his congregation. In 1905 it became an own congregation. By 1900 the Boer War had started, and Kestell served with the Harrismith Commando as a chaplain for men serving with the various volunteer corps. Many were foreign nationals and their own churches were discouraged from offering services to them by their home governments' policies of neutrality and the vigilance of the British who ensured that this prohibition was not broken. Similarly, those Boers who changed sides and joined the National Scouts also found themselves without the support of their churches. In January 1900 JD Kestell again found himself in the middle of a fierce battle during General Botha’s Spioenkop Campaign. On the Sunday morning of 21st January, General Warren resumed the attack on the Boers with heavy artillery support. 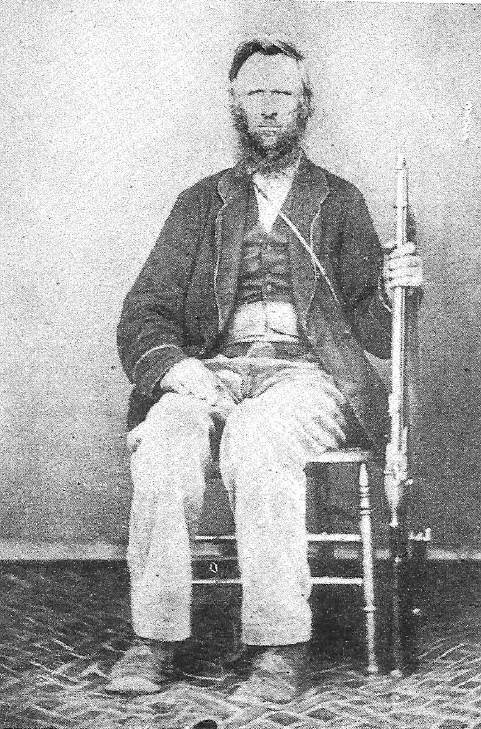 Botha's burghers were beginning to show signs of wavering as more shells hit the entrenchments, killing and maiming many of them. Kestell would later write about this day in his memoirs. The Reverend JD Kestell would be kept very busy seeing to the spiritual needs of the men. Some months later the Groenkop Battle took place on the 24th and 25th December 1901 when General Christiaan de Wet led an attack on General Rundle's Yeomanry. The Groenkop Battle site is only 20 kms southeast of the village of Kestell. 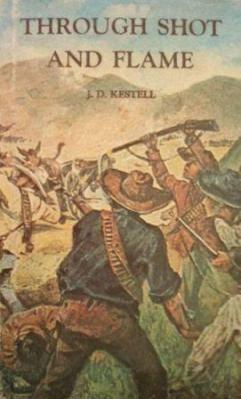 JD Kestell would become a well known author after the war and wrote several books about his experiences during this time – most notably “Through Shot and Flame” the English translation of “Met die Boere-kommando’s”. JD Kestell's influence on the history of South Africa extended far beyond the little village of Kestell. In 1902 he sailed with General Christian de Wet to Europe where they were to raise funds for the widows and orphans that were left impoverished by the war. 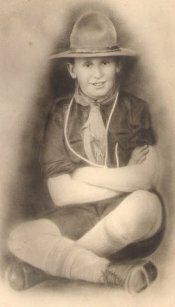 During the long trip he helped De Wet to write his memoirs of the war "De Strijd Tusschen Boer en Brit". The book would become a best seller and was translated into six languages. Kestell and De Wet would be life long friends. In 1919 he became the Chairman of a committee tasked with the enormous job of translating the Bible into Afrikaans. A year later he was appointed as the Rector of the Grey Univeriteits Kollege University of the Orange Free State. In 1927 he was granted Honorary membership of the Suid Afrikaanse Akademie vir Wetenskap en Kuns for his outstanding services to the country, the Afrikaan language and the Academy. Finally in 1933 after Dr JD du Toit and Dr HCM Fourie had worked full time with him to finish the translation, the Afrikaans Bible was completed. He received his second award from the Academy in the same year. By the late 1930's the Reverend Kestell had became increasingly concerned by the plight of poor Afrikaners. The after affects of the Boer War, the devastating Rinderpest plague, and the 'inheritance' system that saw large farms cut up into ever decreasing pieces had forced many to leave their land and seek employment in the towns. In 1938 he founded the "Reddingsdaadbond" with the aim of rehabilitating impoverished Afrikaners and promoting Afikaner business enterprises. By the mid 1940's there were over 400 branches and 700,000 members but it It quickly became a politicised organization which was not what the Reverend had intended. 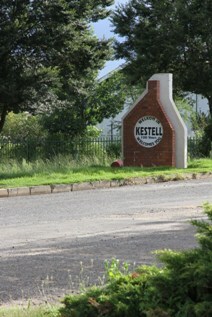 The village of Kestell was founded in 1905 on the farms of Mooifontein and Driekuil. 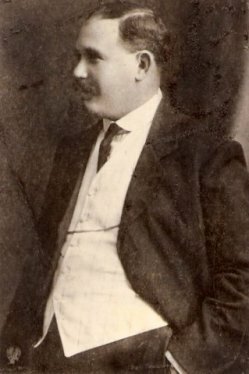 A Mr. JFJ van Rensburg was the original owner of the land. He had two daughters that married the brothers Hans and Adriaan Bezuidenhout. When he passed away the land was divided into two portions, one for each daughter. The main street of Kestell is named after him. Some of the homes in the village are even older and date back as far as 1806. 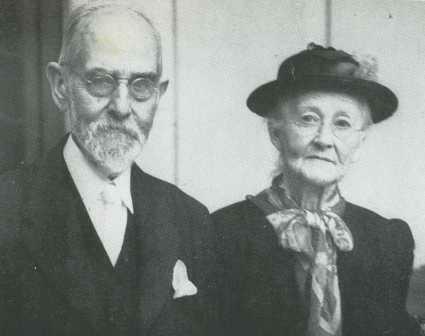 Louis and Jane Legum, Lithuanian Jewish immigrants, were the owners of the Mont-aux-Sources Hotel (now the Kestell Hotel) in Kestell, Free State, South Africa during the early 1900’s. They had five children. 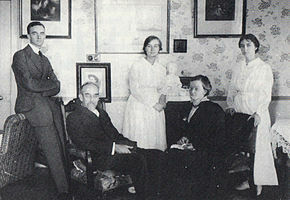 The eldest daughter Ettie, a son Abe, then Colin, another daughter Doreen and then the youngest son Jackie, who sadly died when he was about 13 years old. 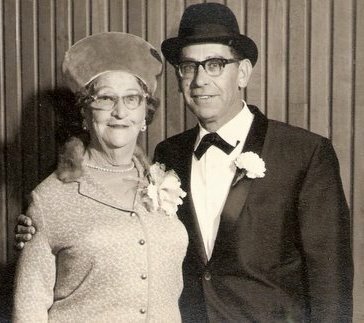 Louis passed away at a young age, in the 1930s, and Jane continued to run the hotel for a few years before moving to Johannesburg, and then on to Bloemfontein where Ettie and Abe had also settled. 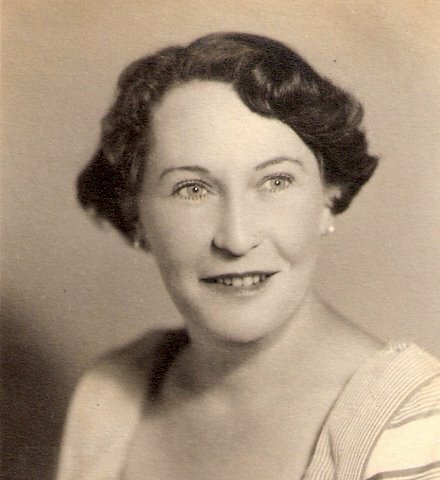 She finally settled in Israel where Doreen was living, and passed away in the mid 1970s. 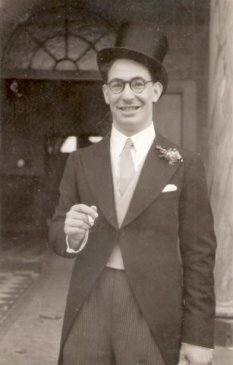 Colin Legum was born in the hotel on 3 January 1919. He was educated at Retief High School, and was an avid reader even though he grew up in a home without books or newspapers. A clever child, he performed well at school and was ranked seventh in the country when he wrote his matric exams. As soon as he finished school in 1934 he moved to Johannesburg where he found a job as an “office boy” at the Sunday Express. He was only fifteen, and by the time he turned nineteen he was the newspaper’s political correspondent. Colin Legum had firm convictions formed by his youth in Kestell. He felt concerned about the injustice of the treatment of the local black population, and worried terribly about the plight of poor white children in the community, who often went barefoot even in the coldest of winter weather. 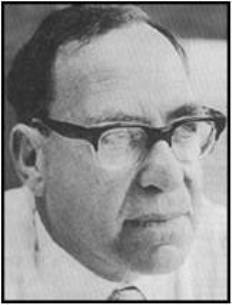 He was a socialist but strongly anti-communist, a staunch Zionist and defender of Israel. He soon entered politics and in 1942 was elected a member for the Labour Party on Johannesburg’s City Council. In addition he served as the General Secretary of the Labour Party, and became Chairman of the Special Housing Committee. In 1941 he married Eugenie Maud Leon and they had one son, David, who died in Israel in 1994. When the National Party won the elections in 1948 and began to conceive and introduce apartheid, Colin and Eugenie decided to move to London. Here he would become a legendary Fleet Street journalist with thirty years service as The Sunday Observer’s Diplomatic & Commonwealth correspondent. 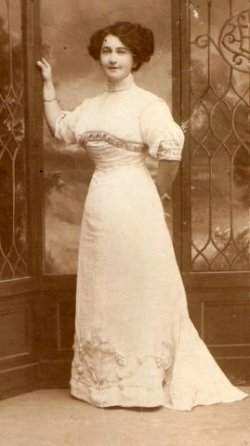 Eugenie died in 1953. In July 1960, Colin was remarried, to the well-known South African economist Margaret Jean Roberts in London. They had three daughters. In 1964, Colin and Margaret published South Africa: Crisis for the West, an influential book arguing for sanctions to bring down apartheid. He was prolific writer and was author, co-author, or contributor of many books. His last book, Africa since Independence (1999), was based on lectures delivered at Indiana University. Other achievements include convincing leading Africanists in 1968 to contribute to the 23 volumes of the Africa Contemporary Record. He also edited the Middle East Survey and from 1982, Third World Report. Legum and his wife had been banned from South Africa in 1962, but with the ending of apartheid were able to return in 1990. They settled in Kalk Bay, near Cape Town. Colin Legum received honorary degrees from Rhodes University and the University of South Africa. In 2002, he started a development trust to provide scholarships at Retief School and was particularly pleased that his old school invited him back to preside over the annual prize giving awards. He continued to work as journalist, author, and visiting lecturer until his death from cancer at 84 years old, in Cape Town on 8 June 2003. His wife Margaret died in Cape Town in November 2007, after surgery for cancer. She was survived by her three daughters, eight grandchildren and two great-grandchildren. Almost in the centre of the village, and definitely the largest building in Kestell is a magnificent church. The beautiful old church is situated in a large park and can be seen from almost every corner of the village. 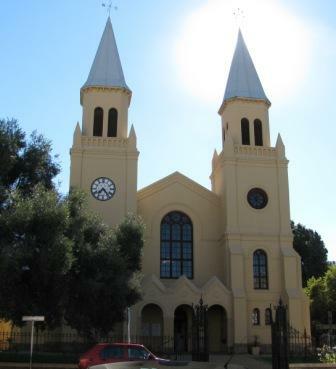 It is the second largest church in the Orange Free State and seats 1,000 people (the largest sandstone church is in Warden and can seat 1,750 people) It was designed by Gerard Moerdijk. 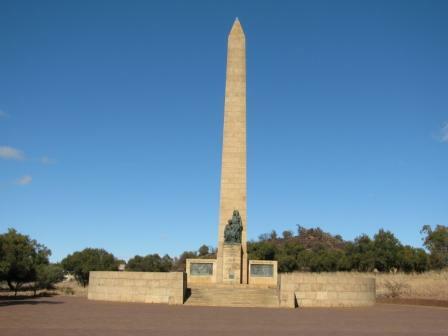 He is best known for his design of the Voortrekker Monument situated just outside of Pretoria. He designed over 80 churches, city halls, hospitals and several banks (particularly the Reserve Bank in Bloemfontein) and the Merensky Library at the University of Pretoria. The Church celebrated its 85th birthday on the 31st March 2013. The Church had opened its doors in the beautiful sandstone building in 1928. Before that the services had been held in a 'sink" (corrugated iron) shop. During the Boer War Reverend JD Kestell had even been forced to hold services in trenches! The Retief Boekwinkel turned 76 years old in January 2015. It first opened its doors to sell school books in 1939 and was managed by Mrs Rita Ramage. Her son, Johan Ramage is still involved with the school. At the same time the local high school was renamed Hoerskool Retief; it had previously been called “Die Goewernmentskool” as was the case with most schools in little towns throughout the country – they were simply known as "the Government school"! 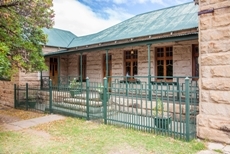 Die Hoerskool Retief in Kestell is op 12 June 110 jaar 'jonk'. Die skool se verhaal begin in 1838 by die fontein net buite die dorp met sy helder water, en met Piet Retief en sy geselskap wat saam met hom getrek het. Met hulle aankoms by die fontein het hulle die eerste keer die Blouberg gesien wat soos 'n Duiwelstand en 'n draak le. Die berg word Drakensberg genoem. Hulle het die fontein Blydskap genoem. Retief het daar 'n akkerboom geplant wat 'n groot rol in die skool se geskiedenis speel. Dons de Lange het die kinders uit die Bybel and uit "Trap de Jeug" geleer. Dit was die begin van onderwys on die omgewing. Nadat die stigters van Kestell die transaksie vir die verkoop van erwe op 12 Julie 1905 afgehandel het, is besluit dat 'n skool geopen moet word. 'n Mev Allen het begin skool hou en teen Januarie 1906 was die goewermentskool amptelik in volle gang. In 1938 is die skool se naam verander na die Hoerskool Piet Retief maat kort daarna het Piet uit die skool se naam verdwyn. 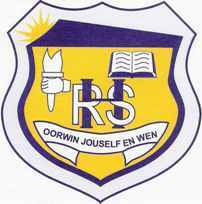 Die skool se leuse "Oowin jouself en wen" het uit die gemeenskap se swaarkry onstaan. Gedurende die Boere Oorlog, die Groot Griep en weer met die Groot Droogte het baie mense alles verloor en so het hulle geleer dat niks hulle sal onderkry nie. On the 12th June 1905 the erf on which the Kestell Hotel stands was proclaimed, and was purchased for £63,000. Although no accurate records exist it is believed that the original building was completed about 2 - 3 years later. This amusing story by Johan Ramage (our local historian and owner of the Retief Boekwinkel) tells how on the very first night that the hotel opened it was reduced from a double story building to a single story! Die dubbelverdieping hotel was net klaar gebou in Kestell en 'n groot inwydingsfees is gereel. Gaste was genooi ... al die kamers was vol bespeak ... behalwe die solderkamer waar die linne en ekstra beddens geberg was. Die eregas was die Goewerneur van die Vrystaat. Almal sou 'n vyf ster ete aangebied word. Hoender pastei en vrugte poeding was daar, en natuurlik het die voggies gevloei. Oom Abraham, wat besondere groot voete gehad het, was een van die gaste wat nie sou oorslaap nie. Hy kon die elmboog goed lig en toe die aand vir hom begin dooierig word het hy begin aksie soek! Die aksie was wel daar in die vorm van Mooi Bettie die dogter van 'n naburige dorp se burgermeester. Gou het hulle mekaar se geselskap geniet, en omdat die voggies al begin praat het, het die twee kort voor lank besluit om die saak verder te voer. Met 'n parafien lamp is die twee solderkamer toe. Gou het die klere gewaai. In die geesdrif van die oomblik het Oom Abraham se nommer twaalf voet ongesiens die lamp omgestamp. Toe die twee asem skep was die solder al goed aan die brand . Die vlamme het gou na die boonste verdieping versprei terwyl die partytjie nog goed op dreef was op die grondvloer. Tyd vir klere gryp was daar nie en die paartjie is poedelnakend by die hotel uit en die straat af! So het die hotel se boonste verdieping daardie aand afgebrand en dit is nooit weer herbou nie.